The Fuzz played at our wedding reception at Dragon Hall, Norwich in December. We couldn’t have made a better choice. 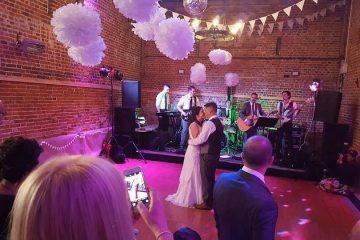 They played great songs, and knew how to keep the guests dancing. I was desperate not to have a cheesy band, which these guys are not. They’re a bunch of cool, talented chaps. Plus really and pleasant and easy to deal with. At the end of the night the crowd wanted more and the Fuzz were happy to play a bit longer so they indulged us with a few extra songs. 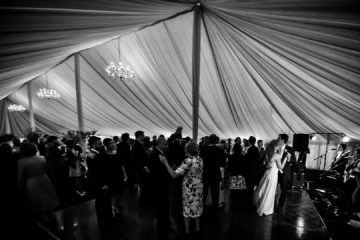 Some of our guests said it was the best wedding they’d been to – and they were ones that had spent a lot of time on the dancefloor. I would highly recommend the Fuzz to anyone looking for a wedding or function band.